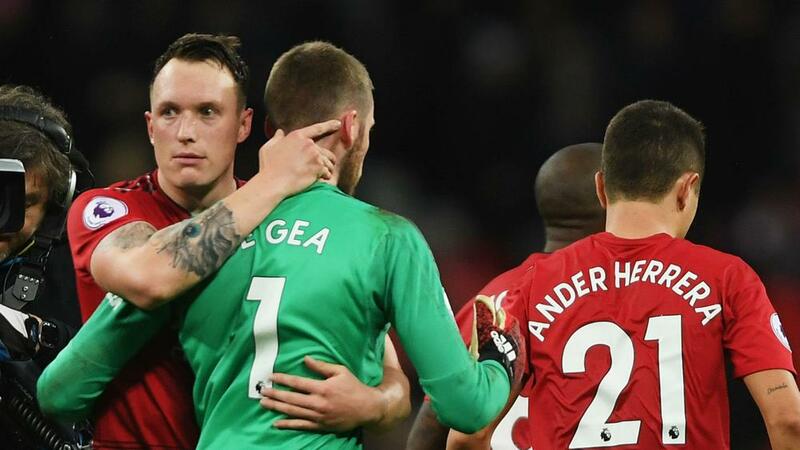 David de Gea saluted caretaker manager Ole Gunnar Solskjaer for the return of "the real Manchester United" and bringing "happiness" back into their play following Sunday's 1-0 win at Tottenham. It was said in the build-up that United's trip to Wembley was the first major test for Solskjaer, having replaced Jose Mourinho last month. Until then, United had beaten more modest opposition in Cardiff City, Huddersfield Town, Bournemouth and Newcastle United in the Premier League and Reading in the FA Cup. United certainly did not cruise to victory at Spurs, but they fought well and threatened their hosts on a number of occasions, particularly on the break, with Marcus Rashford getting the decisive goal in the first half after a fine Paul Pogba pass. Although De Gea was the star, making 11 saves, the Spaniard was eager to laud Solskjaer for the improvement in United's fortunes since coming in for Mourinho. "The manager has brought some happiness," De Gea told Sky Sports. "The players are playing well and the team is very strong now. "We know how to control games, create chances, it's very good for us. This is the real Manchester United." Rashford's goal was his third in his last three games, as he appears to have dislodged Romelu Lukaku as United's first-choice striker. The England star felt De Gea's display was more crucial to the win than his goal, however. "It's a good responsibility to have, but since this manager came in everybody has chipped in," he said. "Today wasn't about the goals, it was about the goalkeeper and the saves he made were tremendous. We know that we have that at the back."